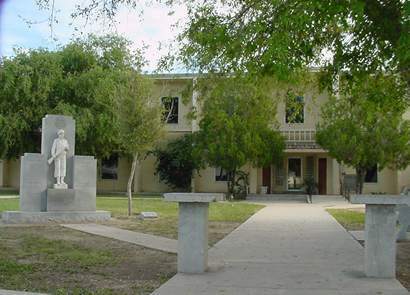 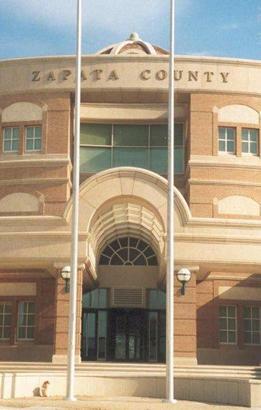 Zapata County Courthouse Zapata Texas. 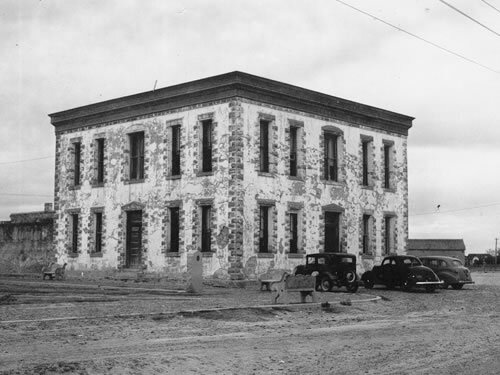 "The 1953 courthouse was demolished. 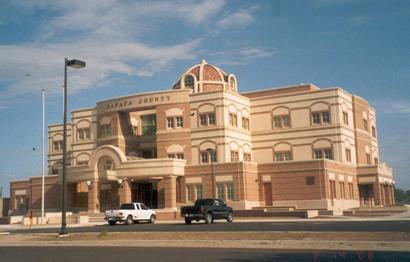 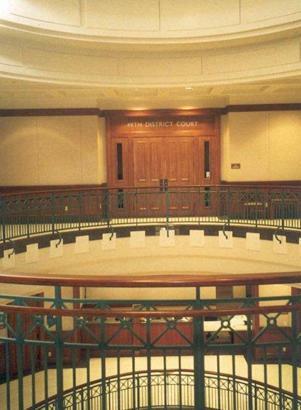 The current brick and concrete courthouse was completed in 2005. 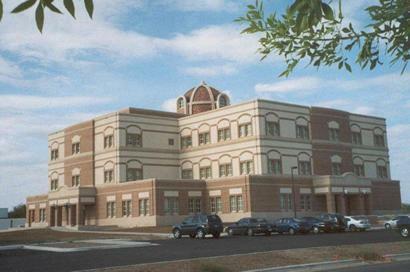 Architect: Morgan Spear Associates, Inc. 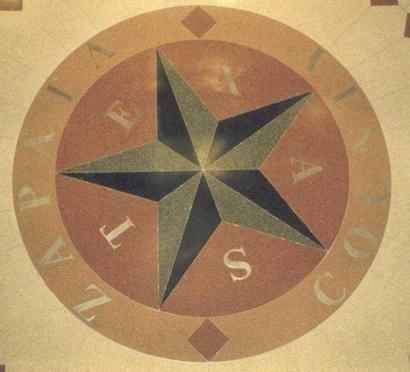 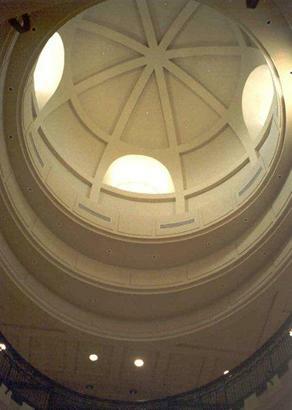 Contractor: Satterfield & Pontikes Construction, Inc."